People are getting away from good eating habits due to busy routine. We all know that today’s work will definitely give better fruits tomorrow. But nowadays men eat anything anywhere. But it will affect them in future. 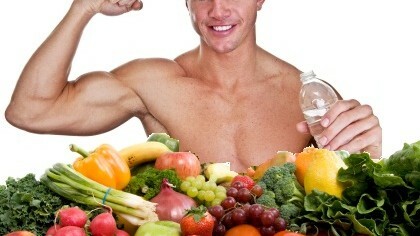 Today we’re going to tell you some food which provider energy and strengthens the muscles to the men. Banana: This instant power deliver food must be included in your diet. You have to eat two bananas in the morning to stay energetic whole day. Also, you won’t tire from the pressure of work. Men have higher risk of heart attack and multiple heart diseases. So if you include bananas in your diet you can avoid these dangerous diseases. Oyster: This is also known as the gonghe. It has quite high zinc and healthy for men. It contains antioxidant, zinc and minerals which increase sexual ability, sperm count and prevents from life-threatening illness such as cancer. Cabbage: It is low in calories. It contains sulforaphane chemical which prevent the body from cancer. Cabbage has vitamin, mineral and high amount of protein. It is considered easy to digest and good for our hair. Red Spinach: If you want to strength like popay then you should eat spinach. Because it has pholate and betaine which reduces the blood levels as it is the risk of heart attack is higher. If you don’t like spinach then you can eat beetroot which helps you to fight against cancer and increase the blood. Whole Cereal: You must have included whole cereals in your diet because they contain fiber, vitamins and minerals. Whole cereal is very good diet for heart, muscles and weight loss. The men who don’t have time for work out they can intake it.